Welcome to Beloved Life: a project exploring spiritual life and spiritual practice drawing on the wisdom of the Jesus path and on insights around human becoming. Welcome to all imaginers : hopers : dreamers : peacemakers : artists : music-makers : earth-lovers : spiritual path-takers : mystics : contemplatives : change-bringers : and anyone who wants to help reshape the world for good! 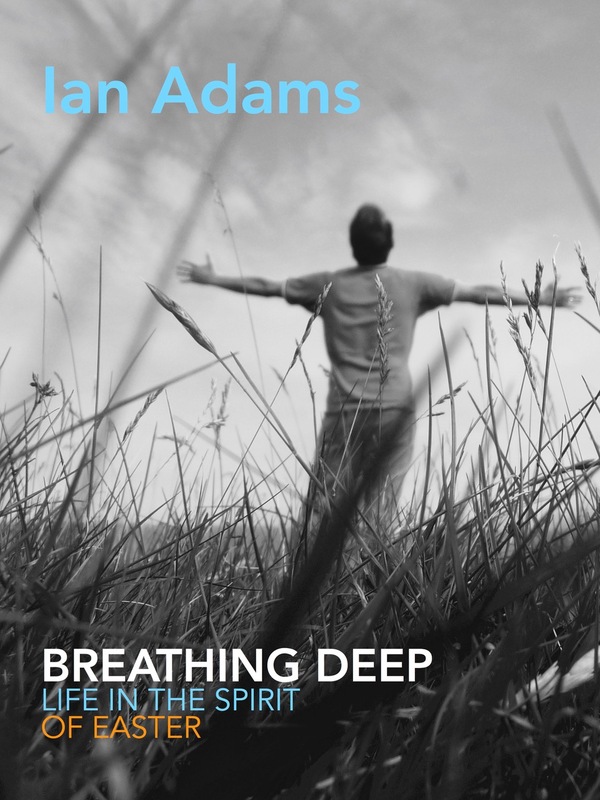 Ian’s new book BREATHING DEEP is out now on Canterbury Press – a series of meditations in words and images embracing the season of Easter and offering new hope for living with joy and generosity in demanding times. We loved sharing the 2018 Beloved Life Breathe Deep retreats in the UK. Look out for more events in 2019. I am a friend of Cheryl Gissing . Your website is fascinating and I am interested in your retreats. I would like to subscribe to your blog – but can’t find a subscribe option. Many thanks for the Beloved Life Retreat from which Trudy and I have just returned. We found it restorative, inspirational and reassuring. Could I have and email address to discuss art and poetry support for a Medical Humanities Longitudinal Module entitled “The Good Samaritan”? Ditto Steve & Trudy’s comment from David & Vicky! Could you sign me up to receive the Morning Bell email please? My neighbour put me on to your book ‘Running Over Rocks’, he looked in my heart and saw what I needed! It’s truly a beautiful and practical book that I am benefiting from in more ways than I can describe 🙂 Thank You!!! I wondered if you have any spaces left on The Unfurling Retreat on Iona next Year? hi Mike – that’s great to hear! Thank you for letting me know. Dear Ian, is it possible you could contact me about the possibility sometime in 2015 or in 2016 about leading a weekend or longer retreat at Sandymount Retreat House near Liverpool. I am wondering if there are any more details available for Ian’s Bristol poetry event on the 27th of March? Is there an entry fee for the Bristol bookshop event? P.s I am afraid I cannot seem to access the Facebook page you linked to. The Bristol event is at Foyles bookstore and begins 6pm Friday 27 March. The Sheffield event is at the 35 Chapel walk art gallery and begins at 8pm Friday 24 April. It may be that you can only see these if you are on Facebook? Sorry, finally found it in a hidden junk folder. Looking forward to my daily moment to pause with morning bell. Ian – Thank you for the day at the Old Deanery on Thursday for spiritual directors/compassionate listeners. It was so enriching and energising. A friend has asked if I can recommend where she might go for an individually guided retreat, & I am wondering if this is something that you offer? Your book, Wilderness Taunts was given to me this Lent to read in the run up to Easter. Your explored and articulated thoughts on various occasions Ive never been able to fully articulate and felt quite alone in the experiencing of. I felt less alone, more understood, more accepting and encouraged in the acknowledging of. And better equipped to live less burdened down by.